Kim Kardashian, stop letting North draw on your Hermes bag. OPINION: "A ruined designer bag is the latest 'smug mum' accessory." North West. Budding artist. Handbag trasher. Someone has stolen all of the colouring books in Hollywood. How do I know? Well, ask yourself this: If you want to encourage your young child’s art skills, what do you give them to express their creativity mess? So, you see, a complete LA-wide sell-out of paper-based materials must be the explanation for Kim Kardashian holding a Hermès Herbag – RRP $2875 for the standard model (and KK does not strike us a standard-model girl) – covered in paint smears and her child’s handprints. I can just picture the scene… Kim rushing into the kitchen just as little North West is grabbing the bag – gah, two seconds too late, Kimmy! Cue an onslaught of expletives, tears, furious-face selfies, angry pouty selfies, more selfies, maybe a sacked nanny. But it would seem that none of that was FASHUN enough. So when it came to Kim’s birthday this October, Kanye bought her a bloody expensive bag intended only to be scribbled all over by their 16-month-old. Which makes me feel a teeny bit sick. As in, I just vomited over my desk. Kim initially mistook the paint splatters for the work of a hot a new artist (you’d want a refund wouldn’t you) – until Kanye showed her a video of little North painting it. 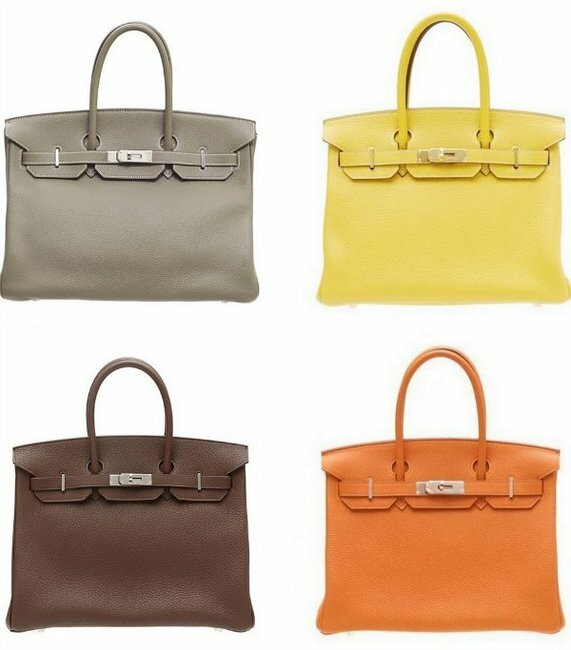 Which would be cute, if the bag hadn’t cost THOUSANDS OF DOLLARS. And the Jolie-Pitt kids must be mad. 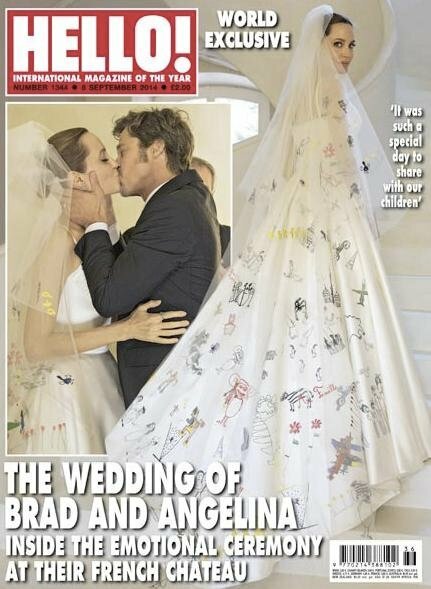 Just when they thought they’d topped the notepad-worn-as-clothing look – remember how they scribbled monsters and doodles all over Ange’s Atelier Versace wedding dress – little North West comes in to steal their crown. Of course, an individual can deface their fashion any way they see fit. My limited clothes-artistry started and ended with the time I accidentally drew biro on my sleeve and ruined a top. Maybe I should have pretended my baby scribbled it and made a thing of it? The wedding dress in question – scribbles and all. What’s next? An ultrasound scan on your phone case? A birth picture as your screensaver? The cynic in me wonders if this is a genius publicity stint to promote North West’s future fashion career. Don’t scoff – she’s already been spotted in the front rows of the Balenciaga and Givenchy shows at Paris Fashion Week. Or maybe I’m just bitter that the only place my childhood artwork was shown off was on the wall of my family’s toilet. Would you let your kids customise your clothes?